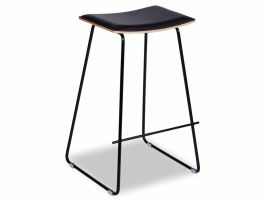 Outstanding modern style can be yours with the Hudson Counter barstools. 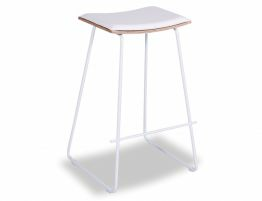 Our high quality reproduction Yvonne Potter White Y Design Timber Kitchen Stool with White Pad is available in a variety of frame and seat choices. 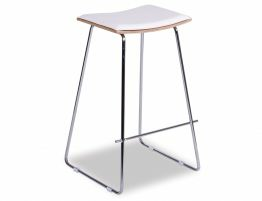 Here we see the bright chromed steel frame with a white seat pad that offers and clean and chic designer bar stool look for your modern, tailored space. 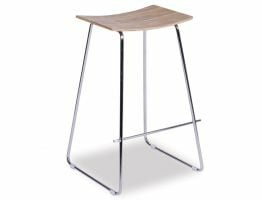 Our Hudson Counter stool is a modern contemporary barstool perfect for your all white kitchen or your spare, minimalist trendy space. 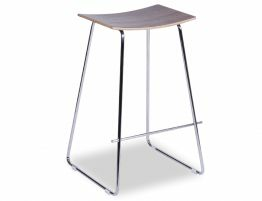 Our simple and chic bar stool offers a sloped Oak wood seat covered with a white seat pad and a sturdy chromed steel frame. 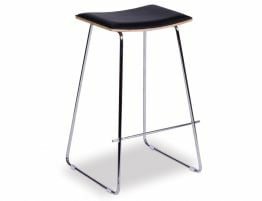 With utterly modern style, good materials and impeccable construction, this is a must have modern barstool and will invigorate your modern kitchen counter seating. 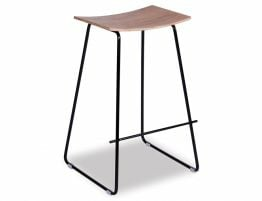 Get an on-trend barstool without sacrificing your whole kitchen budget.